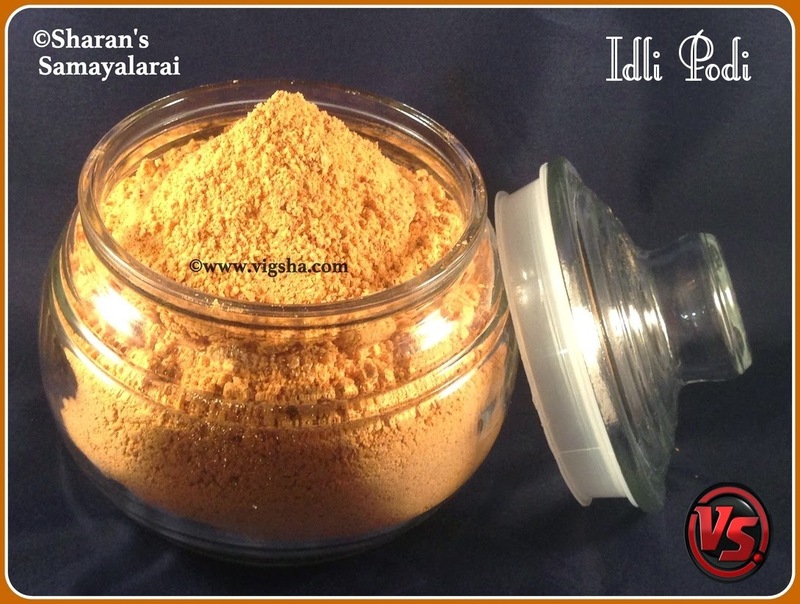 Idli Podi makes a great combination for tiffin varieties like Idli, Dosa, Uthappam and Paniyaram varieties. Its one of the best accompaniment with idli or dosa when you feel lazy to make chutney. Idli powder is very well-liked among south Indians for breakfast. 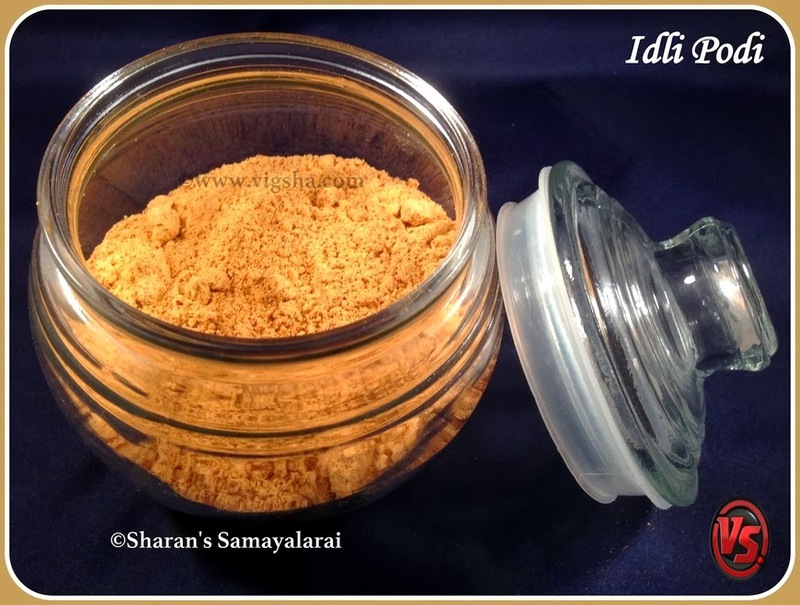 Every South Indian family will have their own version of making Idli Podi. I like my mom's version and I am sharing my mom's recipe today..
1). Heat a pan and fry all the ingredients separately except hing and salt, until they turn golden color. Take care not to burn them. Add the curry leaves at the end and toss for few minutes and switch off the flame. 2). Cool the sauteed ingredients, grind it along with salt and hing to a fine/coarse powder(neither a fine powder nor a coarse powder). Spread the it on a plate and let it cool. 3). Transfer the idli-podi to dry air-tight container. Mix it with ghee/sesame oil and enjoy it with tiffin varieties. Also you can sprinkle on top of idli/dosa for Podi Idli or Podi Dosa. # While frying red chilli, add some salt with it to avoid irritation in your throat. # Dry-roast the ingredients on low flame only. Do not over roast or burn the spices. Hing enhances the flavor, so do not miss it. # I have also used Kashmiri Chilli (2 nos) for the bright red color. # To have a longer shelf-life, make sure to use dry utensils. # Keep stirring the ingredients continuously to ensure even frying. # Make sure to completely cool the sauteed ingredients before grinding. Adjust the spice levels to suit your taste.